One thing I have begun to notice more of late is fear mongering about declining birth rates, especially by white nationalists and conservatives, but occasionally the centre-left will partake in it. An article in Pacific Standard magazine summarizes this very well. 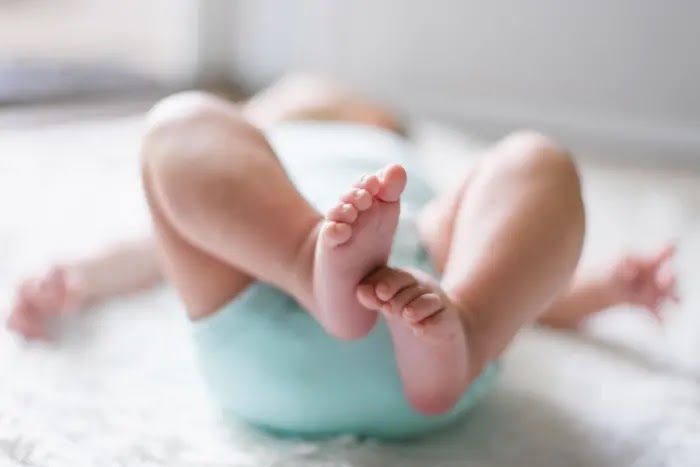 The article cites a total national fertility rate, for the U.S., as 1.765.5 births per 1,000 women of child bearing age, which is about 1.76 births per woman of child bearing age. Since this is below the benchmark replacement level of 2,100 births per 1,000 women of child bearing age, or 2.1 births per woman of child bearing age, the author concludes that we will have a smaller work force in the future, assuming the downward trend continues, and consequently fewer people will be paying into social security (Wheeling, 2019). However, the CDC study cited in the article does not support this conclusion; in fact, the conclusion is based on a bad misinterpretation of total fertility rate. Total fertility rates are estimations of how many births a hypothetical group of 1,000 women would have if the age specific birth rates in a given year remained constant over their reproductive years; total fertility rate is calculated by adding all 5 year age-specific birth rates and multiplying the sum by 5 (Mathews & Hamilton, 2019). Since this statistic assumes that women's current age specific birth rates will remain constant over their reproductive years it is only an estimate of possible final fertility at the end of their reproductive years (Mathews & Hamilton, 2019). Final fertility is contingent on women's actual age-specific birth rates, rather than a hypothetical continuation of current age specific birth rates, during their reproductive years (Mathews & Hamilton, 2019). It is not conclusive that all women will end their reproductive years with an average of 1.76 births. It is also important to consider that the total fertility rate is calculated for all women of reproductive age, which includes all females between 15 and 44 years of age. Within such a large cohort there's inevitably going to be a lot of zeros that will pull down the mean, especially for females between 15 and 24 years of age who are usually still in school. The article also notes that the average age for first marriage has risen to 27 years of age, but fails to see the obvious implication for declining total fertility rates: that a there may be, as a result of delayed marriage, a lot more women with 0 births before age 27 than after age 27. Therefore, the mean may not be the best indicator of how many children women will have, just as it would not be a good indicator of the income of bar patrons if Bill Gates walked into that bar. Michael Ryan is like any other law abiding citizen. He's a family man with two kids and was a supervisor for the school district in Hammonton, NJ where he had worked for 29 years, but that all changed one day when an off duty cop from another county reported him for a crime he didn't commit at a location he had never been to. Eastampton Patrolman Michael Musser accused Ryan of committing a lewd act in the parking lot of a South Jersey laundromat in September 2015; however, Musser did not report the crime to Hammonton Police until a week after he had supposedly witnessed it. At the time that the crime was supposedly committed, Musser did not record the suspect's license plate number or record a physical description, yet one week later Musser was able to recognize Ryan in a ShopRite parking lot and have him charged on mere hearsay. Even if Musser was not being intentionally dishonest, anyone who has a basic understanding of psychology knows how inaccurate the human memory is and that it becomes less accurate over time. The memory is not a recording of the past, such as a video, but a set of impressions that change as new information and biases are added; this is why eyewitness testimony is often unreliable and people convicted on that basis, especially capital offenses, are often exonerated later on. Of course, there is good reason to believe Musser was lying; he was known as a pathological liar in his own precinct and was fired by his own police department for lying in an internal affairs investigation a year after Ryan had been charged and convicted of lewdness. By that time the damage was already done; Ryan had been fired from his six figure job, sentenced to one year of probation, forced to pay over $40,000 in court fines and legal fees appealing his conviction, and had his name dragged through the mud, which he will probably never recover from. Fortunately, Ryan's attorney was able to uncover Musser's record of dishonesty, after Musser challenged his firing in a superior court a year later, and convince the judge to exonerate him. However, without Musser's lawsuit against his former employer, Ryan may have never been vindicated. Even though police departments in New Jersey are required to disclose to prosecutors information that may call into question arresting officers' credibility, Ryan's case was one of the few exceptions; the rule does not apply to officers who charge people with crimes outside of their county. This case may set a new precedent for informing defendants about new evidence that may help their case. The liberties of a people never were, nor ever will be, secure, when the transactions of their rulers may be concealed from them. The most iniquitous plots may be carried on against their liberty and happiness. Between June and December of 2018, the Fremont Police Department quietly destroyed four decades of internal affairs files, citizen complaints, and disciplinary files while the state legislature contemplated passing a bill to require public disclosure of these previously confidential records. The police department destroyed records dated between 1971 and 2016. They also reduced the amount of time they retain internal affairs records on officer involved shootings from 25 years to 10 years. The California legislature passed the transparency law, SB 1421, in August 2018, requiring police departments across the state to publicly disclose misconduct records, especially those concerning use of force resulting in bodily injury, sexual assault, and dishonesty. The city council of Fremont also loosed record retention rules by allowing their police department to destroy files for internal affairs investigations after only two years, if Fremont Police started the investigation on themselves, reducing the amount of time the city retains records about police pursuits and accidents from five to three years and eliminating the requirement to indefinitely retain records about discrimination and sexual harassment. 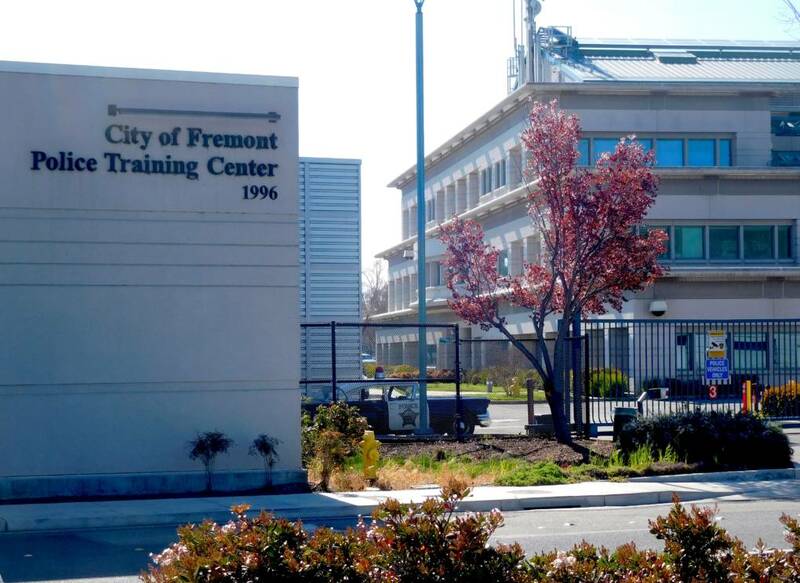 Too be even more opaque, the city of Fremont destroyed eleven boxes of training review board files containing information about officer involved shootings and other use of force incidents that occurred between 2003 and 2015. Other cities, such as Inglewood and Long Beach, have pursued similar polices of destroying police misconduct records and loosening record retention rules in the wake of SB 1421. So what are they trying to hide? As civilians, we're always told, in support of dragnet surveillance, that if we're not doing anything wrong we shouldn't have anything to hide. Of course, government officials, especially those of the executive branch, are never held to the same standard. Here we have a law that brought us a step closer towards law enforcement accountability and it was vehemently contested by Police Unions across California who lobbied against its passage and tried to sue the state to stop the law from being enforced. Fortunately, the city of Fremont does at least one thing right by requiring a certificate of destruction for every city record destroyed allowing the public a glimpse into what they tried to conceal. Some of the most recent files destroyed contained information about officers investigated for dereliction of duty, officers arrested by other law enforcement agencies for misusing their equipment, and officers disciplined for misconducted, including some who had been terminated multiple times (i.e. multiple rehiring and firings). Some of the files destroyed were more innocuous. One file from 1986 contained information about an officer surreptitiously recording other employees. Even with a statute requiring the disclosure of officers' personnel records and internal affairs investigation files, there is still no guarantee that police departments will be transparent about misconduct and abuse of power. As I noted in Who's Watching the Watchers, Police agencies can always find a work around by either ignoring requests, outright denying requests without explanation, heavily redacting the records they release or by putting the records behind a pay wall, demanding, in some instances, thousands of dollars in fees to release the files. In the second wave of CCJA requests, researchers requested sixty-one specific internal affairs files from the law enforcement agencies that responded to the first wave of requests. 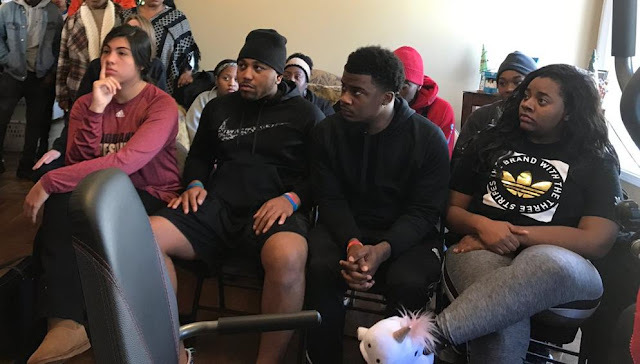 Six of the sixty-one specific internal affairs files concerned police misconduct that garnered significant media coverage, resulted in ‘unfounded’ allegations, but nonetheless lead to a large settlement with the alleged victim. The results were even more dismal than the first wave of requests. Seven agencies failed to respond even after multiple attempts were made to follow up with them (Dupey et al., 2018). Another seven agencies denied the requests outright without providing a sufficient explanation (Dupey et al., 2018). One agency sent a duplicate summary of internal affairs files and two agencies demanded thousands of dollars in fees to fulfill the requests (Dupey et al., 2018). Not one complete internal affairs file was obtained in the process (Dupey et al., 2018). Unfortunately, transparency will never be achieved as long as police are allowed to investigate themselves through internal affairs. Oversight of police conduct must come from the outside, ideally from an independent elected body with the power to conduct their own investigations and subpoena the police department; most established civilian review boards, such as the one in Chicago, fail to live up to this standard. In the past four years, 3 states, including Wyoming, North Dakota, and Utah, have passed legislation allowing farmers, ranchers, and cottage food producers to sell homemade foods directly to consumers without the usual licensing, permitting, and inspection requirements associated with the food industry. While this legislation excludes foods containing meats such as pork or beef, it allows farmers, ranchers, and chefs working in their home kitchen to sell any other dish imaginable directly from farms, ranches, homes, farmer's markets, and roadside stands to informed end consumer, meaning the product only changes hands once and the purchaser understands that they are in a buyer beware market. The Wyoming Food Freedom Act even exempts poultry, for farmers with less than a thousand birds, rabbit meat, farm raised fish, except catfish, and raw milk from the typical state regulations. In the absence of these burdens, cottage food vendors and farmer's markets have grown tremendously. 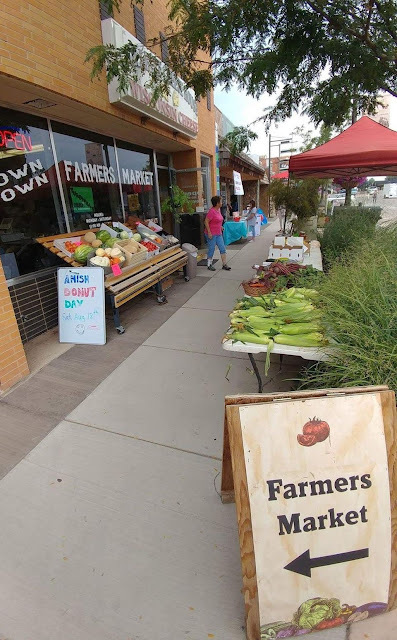 The number of farmer's markets in Wyoming has grown by 70% since the Food Freedom Act of was passed in 2015. The North Dakota Farmers Market and Growers Association estimate that there are now about 600 farmer's market vendors, statewide, since the state passed their own Food Freedom Act in 2017. Utah now has almost 300 cottage food businesses since they passed their own version of the Food Freedom Act, the Consumption and Homemade Food Act, last May. The liberal laws have not resulted in any reports of food borne illnesses or contamination according to all three state health departments. Contrary to conventional wisdom, government regulations are not the only kind of regulations imposed on businesses. Without a supply chain, the producers' reputations are directly on the line; any report of food poisoning or illness could break them, especially in small communities. Just like restaurants, I am sure there are online reviews of different vendors and a rating system to inform potential customers about the quality of their products. In fact, the internet has made it much easier for consumers to regulate the products and services they buy; the information we need to make these decisions is now literally at our finger tips. In addition, private certification could arise for different artisan foods such as dairy products and ethnic dishes (e.g. Kosher certification). In the absence of state regulations, the collaboration among consumers will keep cottage food producers cautious and honest. Well, we had many officers in the department tell us that there was a code of silence. … We found that the department not only tolerates but incentivizes a code of silence. They make it difficult for [internal affairs] investigators to investigate whether officers concealed misconduct. They don’t take steps to make sure that things like body cams and car cameras are working. The 2014 murder of Laquan McDonald and subsequent cover-up opened a goldmine of information on how police handle crimes committed by their own members and it affirmed what most police accountability activist already suspected; police investigate themselves and find themselves innocent of wrong doing. Oversight of the police department shouldn’t come from within the same police department. This would be akin to the president having his cabinet investigate him during an impeachment trial. Oversight of executive officials should come from an independent elected body that has the power conduct their own investigations and subpoena the police department, just as it does at the federal level. Allowing police to investigate themselves is not only bad governance, by failing to separate powers, but it is also contrary to another principle fundamental to our republic: equality before the law. In theory, our laws are supposed to apply equally to all citizens; in practice, a badge and the right political connections grants impunity for criminal behavior. This problem cannot be solved through the same thinking that created it. Party goers were stripped searched at the jail; no drugs were found again. Due to a lack of evidence that any one of the 70 had possessed the small amount of marijuana and cocaine, and obvious constitutional rights violations, all charges were dropped on January 12th, 2018. However, the damage had already been done. The media coverage of this event cost many of the party goers their jobs, their reputations and legal fees for those who had retained a lawyer. In yet another demonstration of the law of unintended consequences, we see how the current war on drugs has allowed police to violate our constitutional rights with impunity, but perhaps we are at a turning point. With more and more states legalizing cannabis and recognizing the Opioid crisis as a mental health problem the whole war on drugs paradigm is being called into question. A victory for the party goers in this class action lawsuit could be another nail in the coffin. There's nothing inherently wrong with socialism. Socialism is the norm of the family; "from each according to his ability, to each according to his needs" is how we should operate households. This works in households because relationships between family members or genetic relatives is based on kin selection theory or inclusive fitness; aiding the survival and reproduction of family members or genetic relatives ensures our own genetics make it into the next generation (i.e. I am my brother’s/sister’s keeper and worry about their well being because they are genetically similar to me). Where socialism goes awry is when it tries to apply the norm of households or families to the whole society. The norm of families reflects the social dynamics of families; kin selection cannot be scaled up to society as a whole. The ethics of society or the relationships between strangers is based on a different principle. Here interactions are based on the norm of reciprocity; making exchanges for mutual benefit or harm. Of course, neither of these norms were created through conscious reasoning on our own part. We did not design kin selection or the reciprocity norm; we merely discovered them. In fact, they exist in other animals that we also know didn’t reason their way to them. They are what would be best described as an emergent order; a product of our action but not of our design. Capitalism succeeds on the larger societal scale because it can functions on the norm of reciprocity. Of course, capitalism can also be altruistic and provide benefits without expecting a return from the recipient, as is the case with many non-profit and charitable organizations, but it is not fundamentally restricted to this modus operandi. Socialism, which fails to distinguish between these two norms, does not eliminate the profit motive attributed to capitalism, but leads from a society in which everyone attempts to profit through economic means (via mutual exchange in open markets) to one in which everyone attempts to profit through political means (i.e. state power); the latter is much more conducive to corruption and the concentration of wealth and power than the former. This may explain why socialist leaders never seem to come from the proletariat and always maintain a much higher standard of living than the people who they are suppose to uplift. Hugo Chavez liked to chastise the rich while living in the lap of luxury himself. His daughter Maria Chavez is now a multi-billionaire and the richest person in Venezuela. 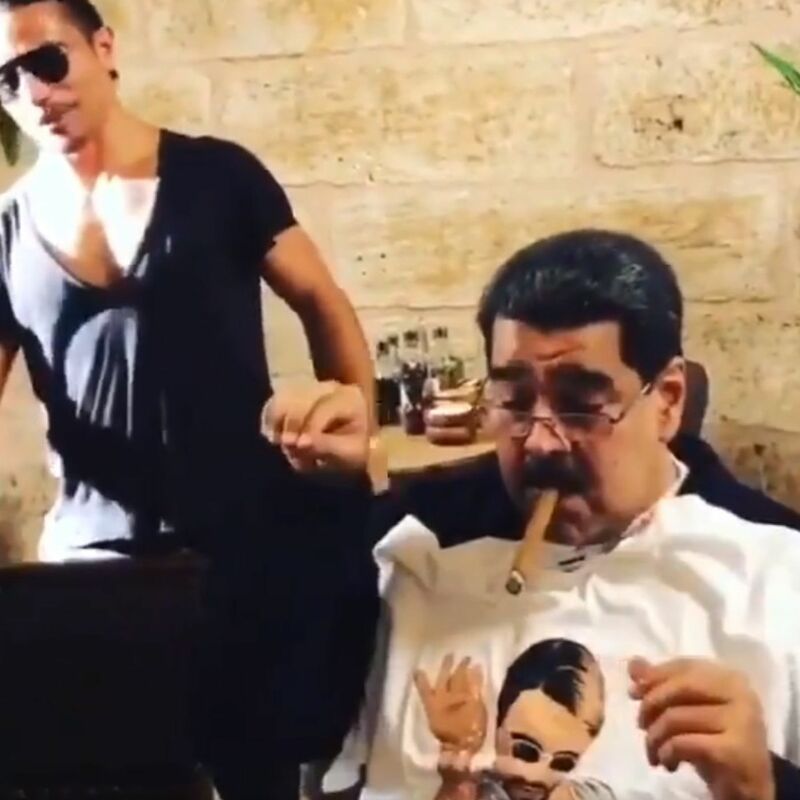 Maduro feasts on fine steak dinners in Turkey while his people starve and, while not a multi-billionaire like his predecessor’s daughter, is still much wealthier and enjoys a higher standard of living than the average Venezuelan. The late Fidel Castro had an estimated net worth of $900 million at the time of his death and his brother Raul has a much lower but comfortable $100 million. The richest men in China, which includes 146 billionaires, are members of the communist party. These are just a handful of examples of how socialism is used to fleece the very people which, in theory, it is intended to help not because ‘the wrong people were in charge’ or ‘it hasn’t really been tried before’, as the apologists like to say, but because it fundamentally contradicts this distinction in norms which cannot simply be reasoned away. Is Chronic Homelessness a Mental Health Problem? Individuals who are chronically homeless face different challenges in meeting their basic needs than other homeless subpopulations including homeless families and other homeless individuals. The U.S. Department of Housing and Urban Development defines chronic homelessness as four or more prior experiences of homelessness usually with a disabling condition (HUD, 2018). According to HUD, chronically homeless individuals constituted twenty-four percent of the total homeless population in their latest point in time count (HUD, 2018). This represents a two percent increase from the previous year (HUD, 2018), which does not seem like much until you compare individual states. While 17 states experienced declines in the number of chronically homeless individuals 33 states, including Washington D.C., experienced a spike in cases of chronic homelessness over the same period (HUD, 2018). Additionally, about half of chronically homeless individuals are located in just three states: California, Washington, and New York (HUD, 2018). Sixty-five percent of the 88,640 chronically homeless individuals nationwide remain unsheltered, which is significantly higher than the forty-eight percent unsheltered rate for all homeless individuals (HUD, 2018). Similarly, thirty-percent of chronically homeless people in families with dependent children remain unsheltered compared to nine percent of all homeless people in families with dependent children (HUD, 2018). These discrepancies present a unique policy challenge for HUD, similar state and municipal agencies and their partnering institutions. Chronic homelessness may have distinct underlying problems that are less severe or absent in cases of temporary or one time homelessness. Identifying these distinct underlying problems will allow all stakeholders striving to reduce homelessness to tailor their policy approaches to the specific needs of the chronically homeless population. One avenue that may hold answers to the underlying problems of chronic homelessness is the field of clinical psychology. The general consensus among social science researchers, is that homeless persons who reside in the shelters longer tend to have more mental health problems, medical problems and substance abuse problems than homeless persons who reside in shelters for shorter periods of time (Castellow, Kloos, & Townley, 2015). A study comparing the prevalence of mental health and substance abuse disorders among housed low income and homeless mothers with children with similar data on the general population, compiled in the National Comorbidity survey, found that more than two-thirds of the publicly housed and homeless mothers had at least one lifetime mental health disorder diagnosis while nearly half had two or more lifetime diagnoses (Bassuk, Buckner, Perloff & Bassuk, 1998). Housed low income mothers and homeless mothers with dependent children are specifically overrepresented in lifetime diagnoses of PTSD, major depression disorders, and substance use disorders compared to rates for the same diagnoses in the National Comorbidity Survey (Bassuk et al., 1998). In fact, PTSD rates were found to be three times higher for participants in the study than for the general population; the study found that 35% of low income and homeless mothers have a lifetime diagnosis of PTSD (Bassuk et al., 1998). The high PTSD rates are related to childhood physical abuse, sexual abuse and partner violence; 88% of homeless women and 79% of low income women had suffered physical and/or sexual abuse at some time in their past (Bassuk et al., 1998). Alcohol use disorder was also found to be twice as high for low income and homeless mothers while other forms of drug abuse were three times as high compared to the National Comorbidity Survey (Bassuk et al., 1998). In general, the experience of homelessness is associated with higher rates of psychiatric distress and alcohol use for people diagnosed with psychiatric disorders and the duration of homelessness is positively associated with lower recovery rates from mental disorders (Castellow et al., 2015). Although chronic homelessness is closely associated with mental disorders and substance or alcohol abuse the latter is not necessarily the cause of the former. In fact, much of the literature has found that chronic homelessness, mental disorders and substance/alcohol abuse fits the traditional stress-diathesis model i.e. that the experience of homelessness itself may exacerbate vulnerabilities to certain mental disorders, and, in turn, the mental disorders may lead to maladaptive behaviors that prolong homelessness creating a vicious cycle of chronic homelessness (Castellow et al., 2015). Thus, mental illness and substance or alcohol abuse are both predictors and risk factors for chronic homelessness. Many studies have found that the experience of homelessness is actually a precursor to illicit substance and alcohol abuse, which is adopted as a maladaptive coping mechanism to diminish the stress of homelessness (Castellow et al., 2015). Homelessness often results in negative outcomes similar to those experienced by people diagnosed with PTSD such as learned helplessness, substance abuse (as a coping mechanism), social isolation and alienation (Castellow et al., 2015). The evidence suggests a need to expand community based mental health services to address chronic homelessness, especially those that focus on providing support networks and integrating the chronically homeless back into the community (Castellow et al., 2015). Evidence based programs that address these needs include systematic medication management, assertive community treatment, employment and job training programs, family psychological education, illness management and recovery, and treatment for comorbid disorders (Drake & Latimer, 2012). Finding meaningful work for the chronically homeless through employment and job training programs would go a long way in increasing their independence and autonomy while reducing stigmatization. Giving them mental health care and treatment options would also facilitate recovery (Drake & Latimer, 2012). This should, in many cases, be coupled with drug and alcohol rehabilitation for those with comorbid substance use and mental disorders. In addition mental health services should include comprehensive team based care for individuals with serious mental illness and disabilities; this would shift costs away from hospitals and the criminal justice system while also relieving personal suffering (Drake & Latimer, 2012).